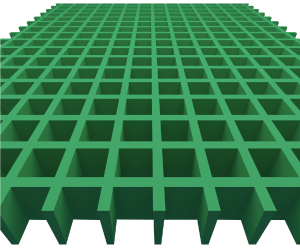 GratEX® FRP Rectangular Mesh provides users with the advantages of Square and Mini Mesh moulded grating and also offers an increased open area which allows the light to enter as well as the overflow of product to fall through. The likes of this system can be seen in marine environments, access ways in the urban and public infrastructure, mineral processing and even used as floor mounted guarding. 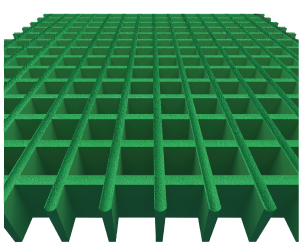 All our FRP rectangular meshes are available with any surface option, in a range of colours and we are able to match any colour you need. For more information, please refer to our Grating Product Guide in the Resources section. Anti-Slip Surface (Standard) Most commonly used in industrial applications, the anti-slip surface is very hard-wearing and has an extremely high coefﬁcient of friction (NATA laboratory test report available). 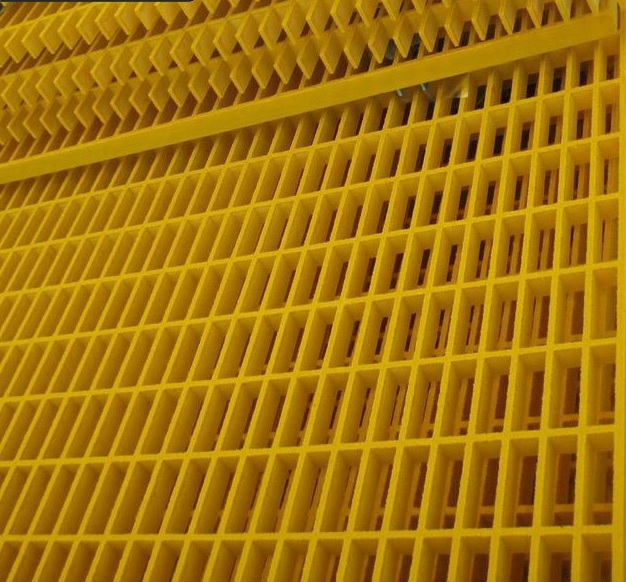 The anti-slip surface does not impact on load carrying capacity unlike serrated metal grating. Concave Surface For environments where by-products are commonly caught by serrations, this is the optimal option. The concave surface option is hence very often utilised in the food industry. 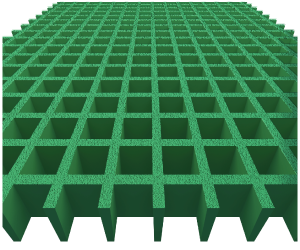 This surface option can also be utilised for guarding options to allow safe handling/contact. Plain Surface This surface is a non-stock option and it is mainly utilised for architectural features in commercial applications. The aesthetics of the products are exceptional, its anti-slip properties are not comparable to the first two options.